Two artists employ their distinctive talents to evoke one unique location. Artist reception Friday, Dec. 7, 6-9 p.m.
"One of the things that interests us is how each visit to the same place can be different depending on season, or the weather, or the time of day," photographer Kelly Baisley says. Baisley, an educator at the Utah Museum of Fine Arts, teamed up with textile artist Virginia Catherall for their exhibition Sense of Place, Great Salt Lake, which pairs knit pieces and photography to create a sensual experience of moments spent around the Great Salt Lake. The pair chose the iconic inland sea in part because of Catherall's decades-long exploration of the lake and its surrounding ecosystems. A long-time knitter, Catherall had an epiphany about a decade ago when she ran out of gas on the Bonneville Salt Flats. "It was so beautiful," she says. "I was filled with awe and wonder, and I was sad I couldn't capture the landscape like an artist could. I wasn't a good photographer, and I couldn't draw very well, and I wasn't a painter, and so I was truly lamenting that I wasn't an artist. But then I thought, why can't I be an artist? 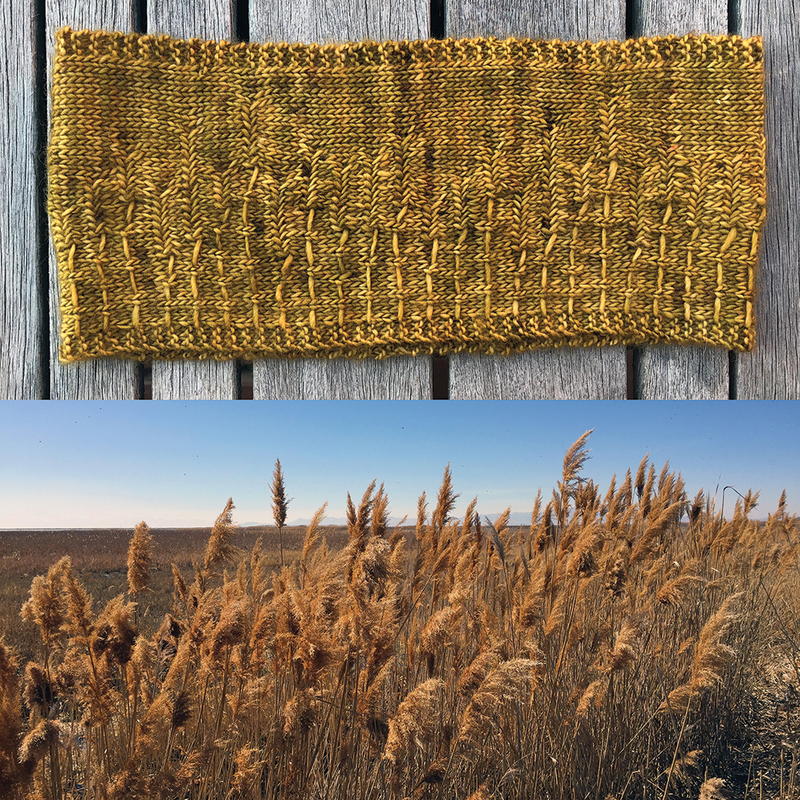 Why can't I translate the landscape into knitting?" The colors, textures and atmosphere of the diverse natural areas that surround the Great Salt Lake have been a long-time source of inspiration for Catherall. "I just want to surround myself with land," she says. "It's the idea of being able to wear the landscape." That translates into knit pieces both plausibly wearable and sculptural: a paper bracelet based on the molecular structure of salt; a sculpture knit from silk and stainless-steel yarn; a scarf made of bison yarn that celebrates the water, land, mountains and sky of Antelope Island. While Catherall is a Utah native, Baisley made the Beehive State her home just four years ago. "I've always enjoyed nature, but this is the first place I felt compelled to take pictures of it," she says. Like many who are attracted to the wild environs of the West, Catherall and Baisley agree there's just something about the landscape that pulls you in. "It's like its own sentient being. It's a character," Catherall says. And especially in the West, "The landscape is such an important part of identity, of who you are," she says. Early into their artistic partnership, Catherall gave Baisley the book Refuge, by Terry Tempest Williams, which records the flooding of the Great Salt Lake in 1983 alongside Williams' own narrative of her mother's death from cancer. "That book was very inspiring for me," Baisley says. "It was a way of connecting the landscape with feelings and emotions." After reading the book and beginning to explore the landscape on her own, "I started thinking about how I wanted to translate [the landscape] into my practice," she says. "I didn't want to take landscape photos. I didn't want to approach that in a traditional way. It's been done, a million times." Preparing for the exhibition required multiple treks to the various natural areas that surround the Great Salt Lake—Black Rock, Farmington Bay, the Shorelands Preserve, Rozel Point (where Spiral Jetty is located), Bonneville Salt Flats, Antelope Island, Bear River Migratory Bird Refuge. No place was the same: "The Great Salt Lake is such a weird, strange, diverse place," Catherall says. Although the pair drew inspiration from a shared landscape, their artistic processes diverged. For Baisley, Catherall says, "Art was being made right then." Catherall, on the other hand, would use the landscape as a primer to her artistic process. "I would go back afterward and think and create the piece, and of course it takes a long time to knit it." The two didn't see each other's final pieces until it came time to assemble the show, which they grouped into four categories: flora and fauna, salt, water and rock. They hope the exhibit evokes a sense of what it feels like to be in a particular place, in a particular moment of time—and, Baisley says, "We're also hoping it encourages people to go out and visit those places on their own."